Born & raised in Israel. Served two year in the Israeli Defense Forces. Married for 45 years, three sons, and four grandkids. 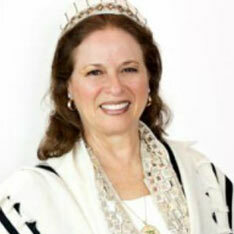 BA in Rabbinic Lit, MA.Ed., Former School Principal, Senior Rabbi at Ahavat Torah Congregation in West LA for 13 years, US Ambassador of Good Will to Muslim Bosnia-Herzegovina, Eight years volunteer Rabbi at Calif. Institute for Women Corona, Lead Volunteer in outreach programs to better the lives of homeless & struggling veterans, immigrants, and hotel employees. Presenter at the December 2009 Parliament of World Religions in Melbourne, Australia. Fluent in Biblical and conversational Hebrew, Hungarian and Spanish.